A pair of Lava Heaters stand poolside waiting to warm swimmers emerging from the water. Sometimes a fire pit isn't enough for keeping warm. 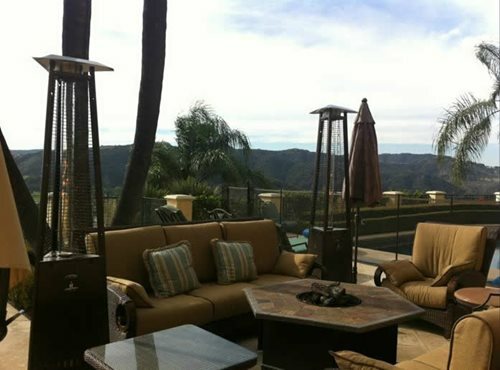 The stylish heaters look good even during the day when not in use. 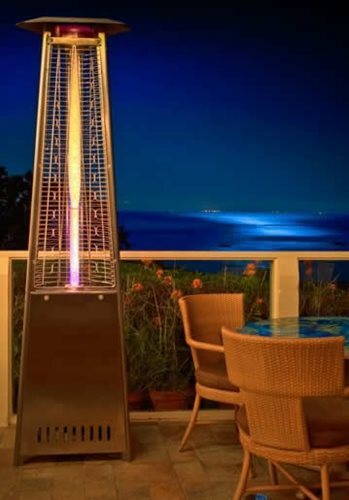 A Lava Heater is great for warming outdoor dining spaces well into the evening. 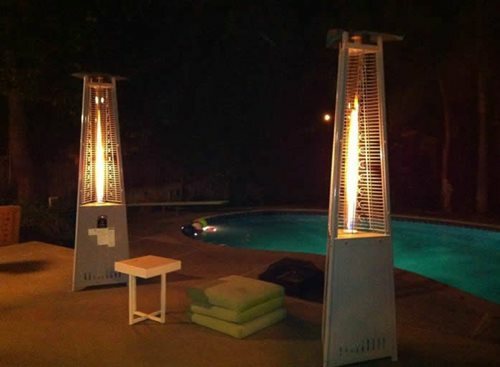 Lava Heat is an eye-catching take on the traditional patio heater. It has a triangular design surrounding a flame that dances inside a glass tube. Its commercial grade wheels make it easy to move around your porch, patio, deck or lawn. The flame can be turned on and switched between low, medium and high via a button on the unit or a remote control. 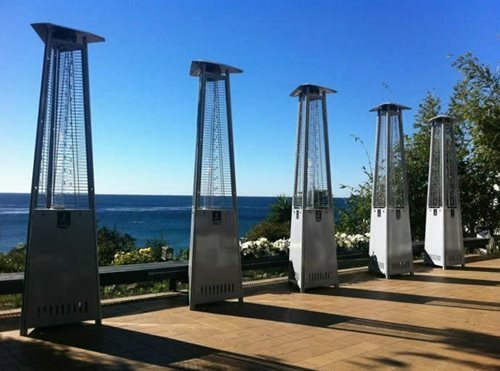 Depending on the look you're going for, the heater comes in five finishes - satin black, platinum white, elephant gray, stainless steel or bronze. If you're unsure about which finish will look best, take a look at the metal fixtures on the exterior of your home (lights, door hardware, etc.) and try to match those. 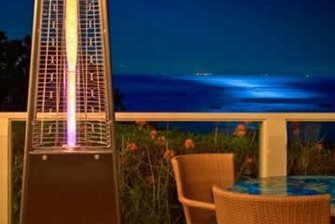 Unlike most outdoor heaters, Lava Heat's 61,000 BTU flame is down at a reasonable height. 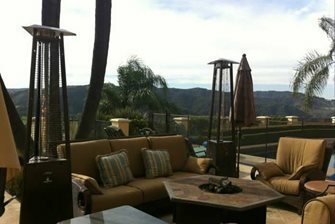 Your party guests will be able to feel the heat radiating outwards instantly and reach their hands out to warm them comfortably. And you will have peace of mind because of the heaters exceptional safety features. 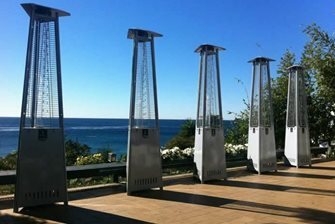 A powder-coated steel grill that is safe to touch encases the flame tube. Additionally, the unit has tip-over and flame-failure protection that disconnects the gas supply.